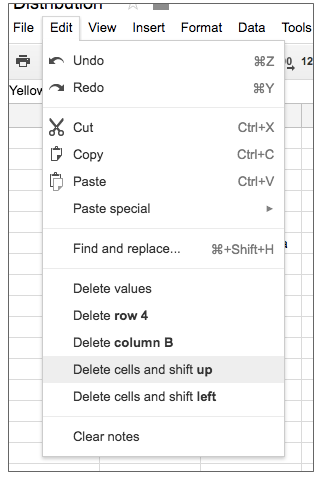 You can insert cells from Insert menu and delete cells from the Edit menu. Both features are also accessible when you right-click on a cell. For more information, check out the Help Center. We know that data in spreadsheets isn’t always neatly distributed across entire rows and columns; oftentimes, for instance, sheets contain multiple tables and regions of data that can’t be separated. With this launch, we’re making it easier to insert cells into these sheets without disturbing that content. 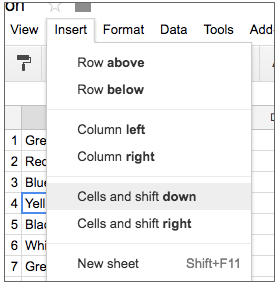 Going forward, you can add a rectangular block of cells to any spreadsheet on the web, and it will simply shift the surrounding cells down or to the right. You can delete chunks of cells in the same way.